Recognizing that approximately 10% of all children worldwide are at risk of losing or have already lost the care of their family, the debate called for more investments into policies and measures to prevent family breakdown and provide quality alternative care for children until adulthood in countries neighbouring the European Union and countries in development. The event was co-hosted by Johannes Hahn, European Commissioner for European Neighborhood Policy and Enlargement Negotiations, and Neven Mimica, European Commissioner for International Cooperation and Development. Participants at the event included officials from the European Commission’s Directorate General for Neighborhood Policy and Enlargement Negotiations (DG NEAR), the Directorate General for International Development and Cooperation (DG DEVCO) and the European External Action Service (EEAS) as well as from SOS Children’s Villages programs. 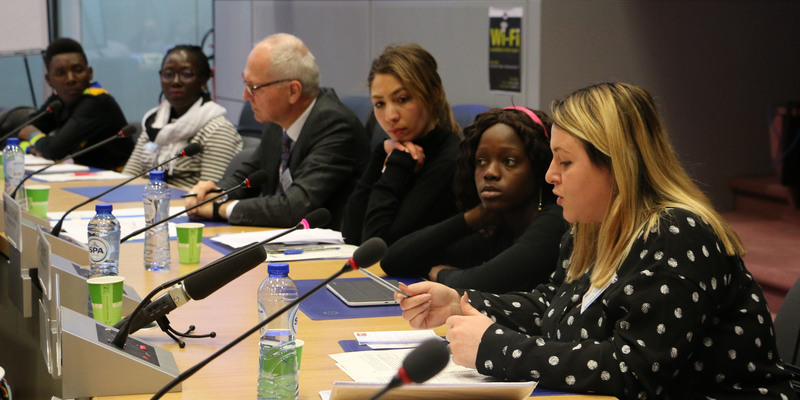 The debate was preceded by a preparatory meeting of participants of SOS Children’s Villages programs on 10 March, in Brussels. The meeting allowed participants to exchange ideas on how to address policymakers, define key asks and get to know each other. In addition, the EU is currently negotiating its budget for the next seven years. Those negotiations will also set the EU’s ambitions in different policy areas, including relations with neighboring countries, international development and poverty reduction. Child rights organizations such as SOS Children’s Villages International can provide findings and share expertise from their programs on the ground with policymakers to ensure policies meet children’s needs, said Ms Ceccherini.